I spent my first Mother’s Day under the covers, barely able to breathe, my eyes swollen from hours of crying. There was no breakfast in bed, no flowers or Mother’s Day brunch. I had given birth 10 months earlier, but on this day, while my mom friends were at home reading handmade cards and eating burnt pancakes, I was trying to survive one more painful reminder that I was not actually a mother. Not yet, maybe not ever. My twin sons, Nathanael and Gabriel, had been stillborn after I was diagnosed with a rare disorder of the placenta called twin-to-twin transfusion syndrome. So there I was, a childless mother on a day that was, ironically, created by a woman who never had children. And I was angry. I was angry at all of the moms who lovingly complained, as I do now, about whiny toddlers and Popsicle-stained sofas. I was angry at the world for being so insensitive to all of the mothers who have lost children and who have to celebrate their motherhood in the shadows of those with living children. There was nothing I could have done that day to take away the rage and pain that only a mother could feel, because I was a mother, despite the loss. It has been almost five years since the stillbirth of our twins, and even though the rawness of that first year of grief has subsided, it will never fully go away. I am still the mother of two babies I never got to bring home from the hospital. But I am also the mother of one of the world’s sweetest 3-and-a-half-year-olds, who was perfectly placed in my life to help heal my heart. I’m also the mother of a very outgoing and outspoken 22-month-old. And I am a better mother to both of my living children because of my loss. This year, I will probably celebrate Mother’s Day like most moms with small kids and busy lives. I will still jokingly complain about syrupy kisses and peanut butter in my hair, and I will do so with a deep gratitude for my chance at motherhood. I will celebrate myself as a mother who knows both profound grief and profound joy. I will celebrate the army of strong, resilient mothers, some of whom you will never celebrate because they remain childless mothers. I will celebrate the women in my life who have lost adult children and know that not a day goes by, much less a Mother’s Day, in which those brave mothers have not, for even a second, stopped loving their dead children. To all of you women who have faced infertility, miscarriage, stillbirth, or infant or child loss; to those who have lost their adult children too soon: I celebrate you and the wonderful mothers you are to the world and people around you. Parent Support of Puget Sound offers support groups and resources for parents who have lost a baby. Global Alliance to Prevent Prematurity and Stillbirth (GAPPS) strives to improve birth and maternal outcomes globally. And Seattle Children’s Journey Program offers help to grieving parents (206-987-2062). 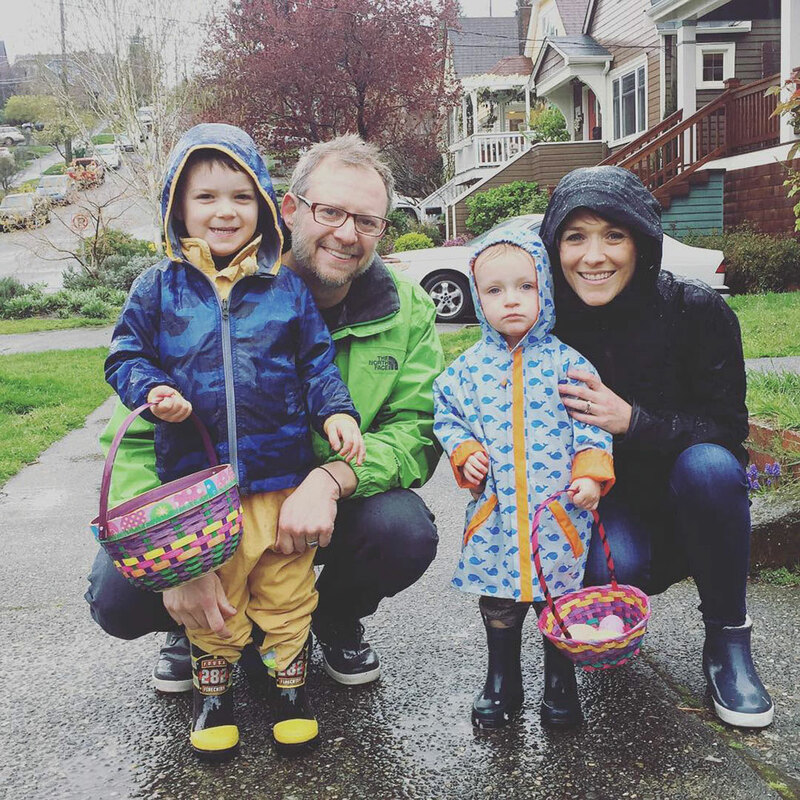 Editor's note: Angela Stowell is CFO and partner at Ethan Stowell Restaurants in Seattle, which encompasses 12 restaurants including Tavolàta and How to Cook a Wolf. Angela also helped found Eat Run Hope, an annual 5K and culinary event that benefits the Fetal Health Foundation. Angela and Ethan have two young sons.